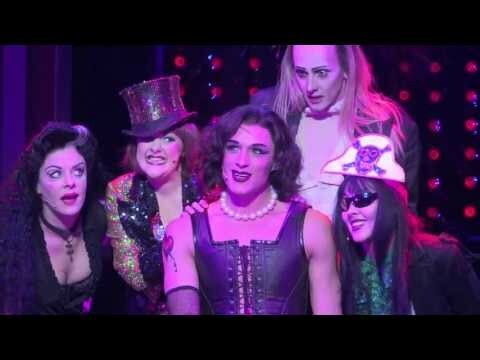 That sweet transvestite and his motley crew did the Time Warp on Broadway in a 25th anniversary revival. Complete with sass from the audience, cascading toilet paper, and an array of other audience participation props, this deliberately kitschy rock 'n' roll sci-fi gothic musical is more fun than ever. Click here for The Guardian's 40th-anniversary slide show with original production photos! Usherette can be doubled with Magenta. Dr. Scott and Eddie can be doubled. Phantoms can be increased to six. They are used onstage and off as back up singers as well as understudies. The Rocky Horrow Show was first presented on Broadway by Lou Adler at the Belasco Theatre in New York City in March 1975. It was directed by Jim Sharman.